American Airlines and Orbitz are giving consumers a bit of deja vu today: Three years after the two companies participated in a standoff over flight fees, they’re back at it and American has once again removed its listings from the travel booking site. According to a report from the Wall Street Journal, American Airlines withdrew its flights from the site over continued negotiations over booking fees. Travel sites such as Orbitz and Expedia, and other third-party ticket distributors have been working with airlines that are pushing for lower fees to cut costs. “We have worked tirelessly with Orbitz to reach a deal with the economics that allow us to keep costs low and compete with low-cost carriers,” Scott Kirby, president of American Airlines, tells the WSJ. Officials with American’s parent company, American Airlines Group Inc., said it would also withdraw US Airways fares from the site on Monday. 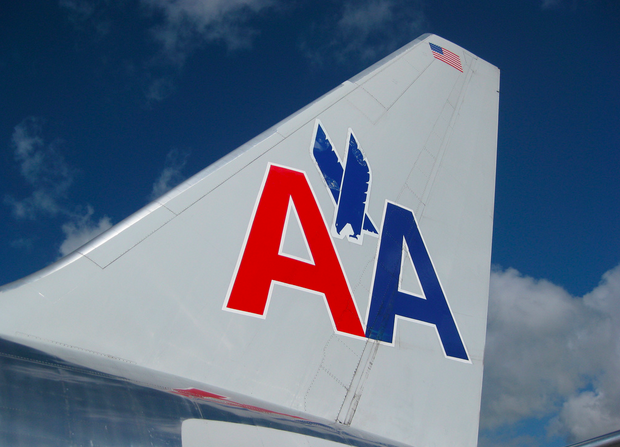 American and US Airways merged late last year. A representative with Orbitz wasn’t available for comment, the WSJ reports. The newest issue between the airline and the ticket site doesn’t affect tickets that have already been purchased. However, any changes that consumers need to make to those tickets must be done through each airline’s reservations department. Back in late 2010, American and Delta removed their fares from online ticket sites for similar issues. The airlines wanted more control over the distribution of their seats and to funnel more travelers to their direct website where they can also profit from lucrative hotel and car rental upgrades to tickets. Flights began to show up on the sites again during the summer of 2011. In the case of American and Orbitz, an Illinois judge ruled that the airline had to make its flights available on the site.